Multiple award-winning rapper, Okyeame Kwame is still recording songs for his upcoming album “African Connection”. Last year, he recorded ‘Try Again’ with Nigeria’s J Martins. 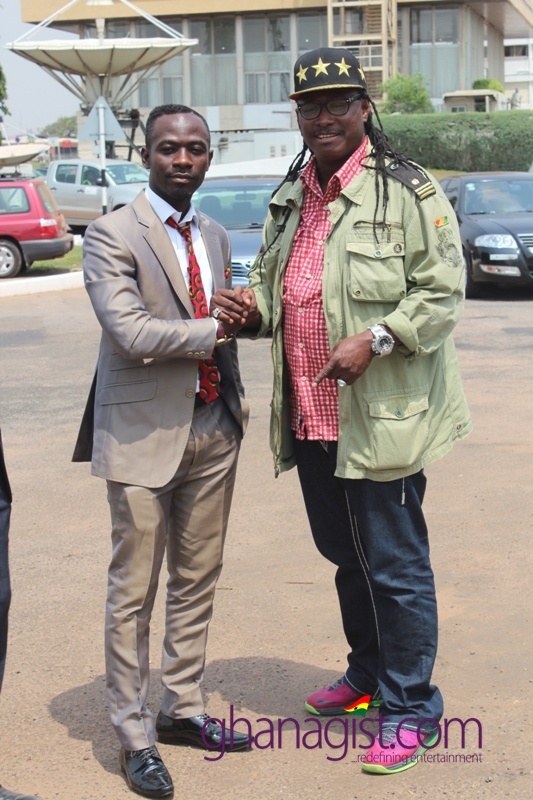 The latest African artiste to feature on the album is Didier Awadi from Senegal who touched down in Ghana this morning. 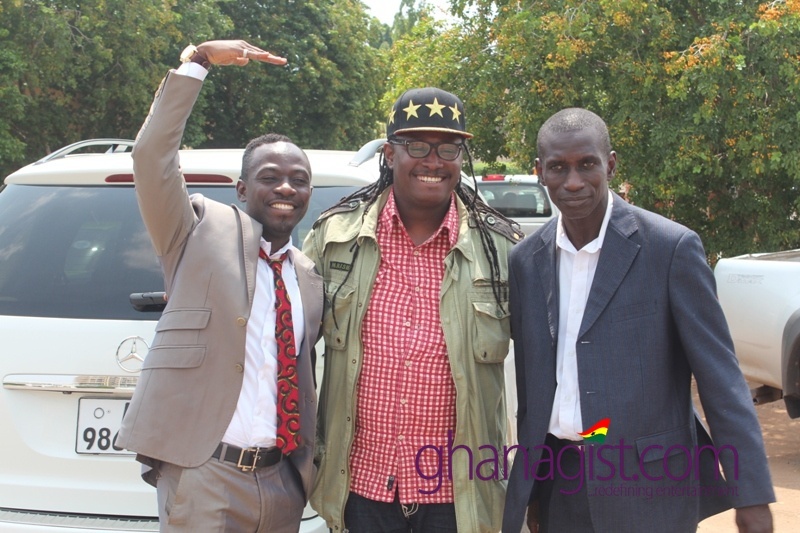 He was welcomed by Okyeame Kwame and his One Mic Entertainment team. 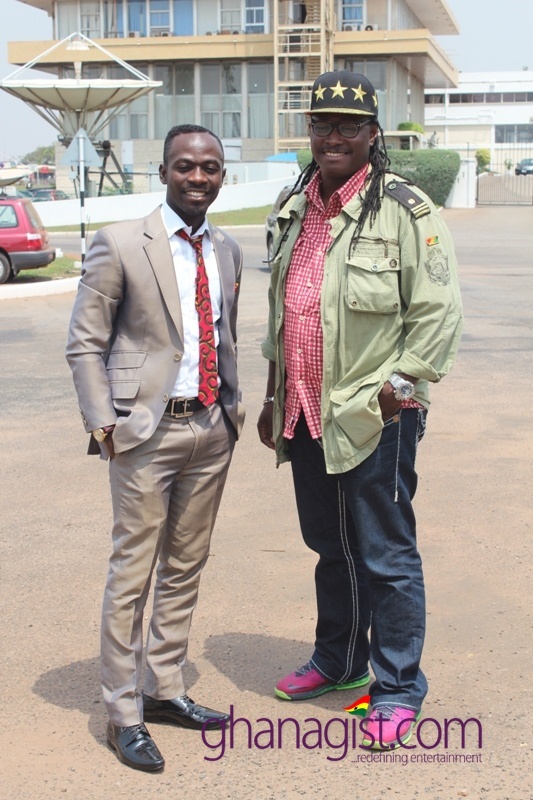 “I’m excited to be in Ghana to work with Okyeame Kwame”, he told GhanaGist.Com at the airport. 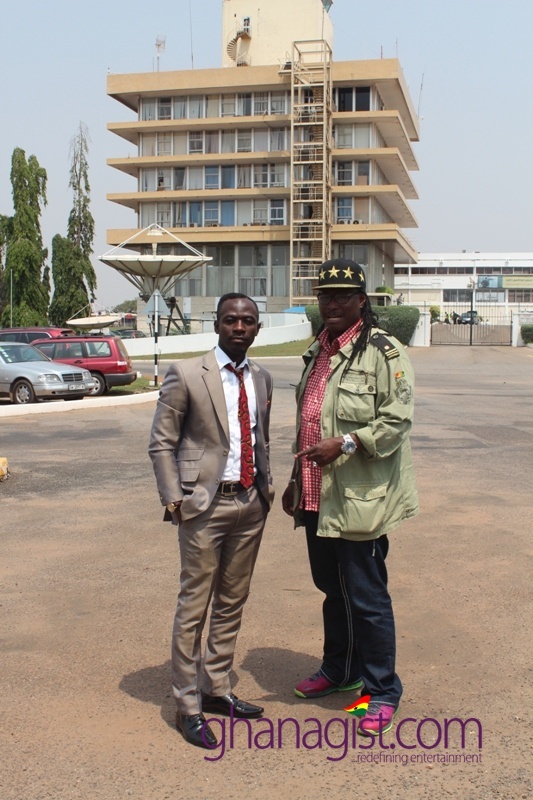 Didier Awadi is a Senegalese rapper and the most visible figure of Francophone West African Hip Hop. 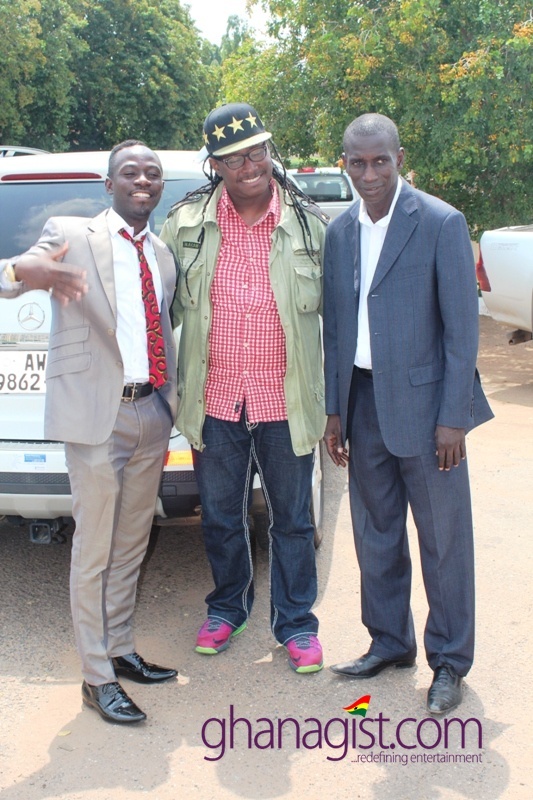 As a founding member of Positive Black Soul (PBS) with Duggy Tee, Awadi toured around the world contributing to the international popularity of Hip Hop Galsen. 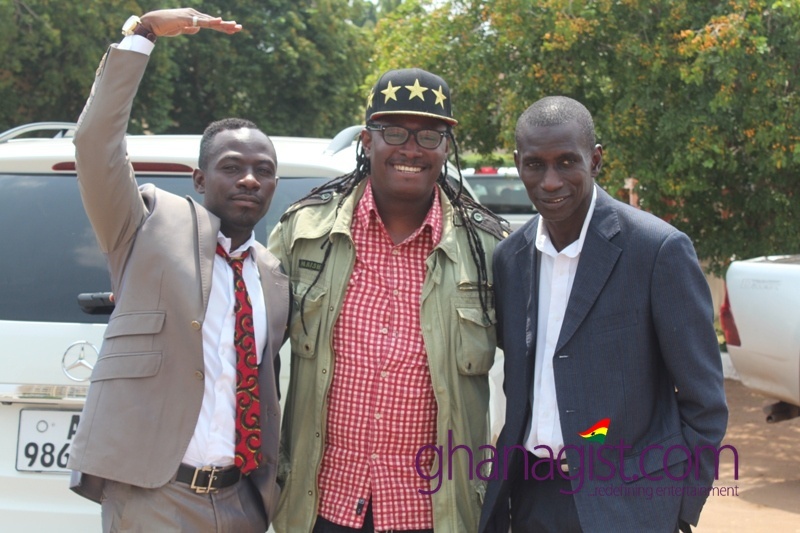 The two rappers are expected to bring their experiences on the song which will be recorded by a top producer in Ghana, GhanaGist.Com told. Okyeame Kwame’s upcoming album “African Connection” would feature artistes on the continent. He has already recorded songs with artistes from Uganda, South Africa and looking at doing more collaboration with African musicians. Okyeame Kwame is a multiple award winning musician. 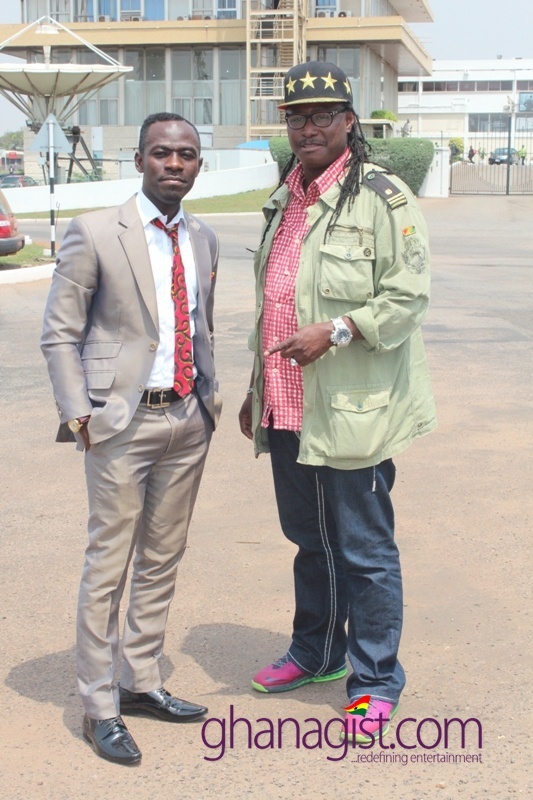 He is a fine rapper who churned out hits such as “Faithful”, “Sika” and currently “Woara” featuring Raquel. In coming days, watch this space for more exclusives concerning the upcoming great collaboration. We bring you the pictures below captured at the airport. 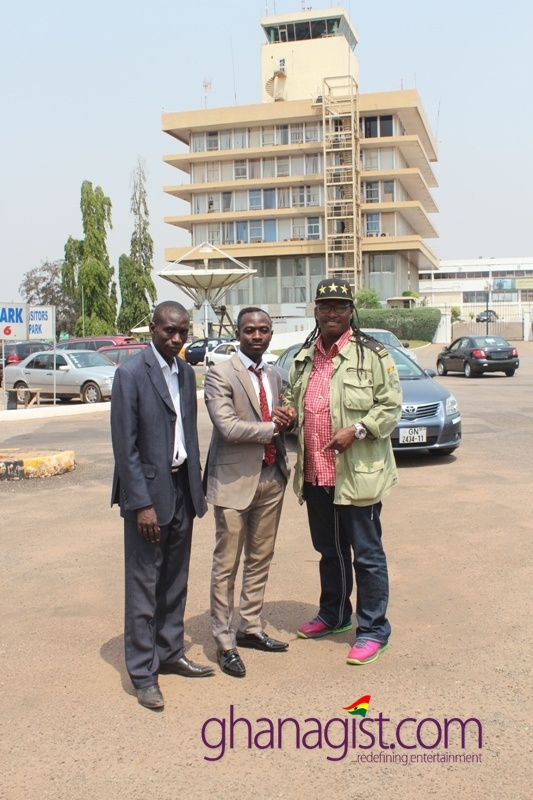 PHOTOS: Okyeame Kwame brings Senegalese rapper Didier Awadi to Ghana for collaboration 0 out of 5 based on 0 ratings. 0 user reviews.